Anime is LOVE; Anime is LIFE; It's a haven of heavenly fowls. Just your average reviewer, sometimes good, sometimes bad, nothing special, nothing gained. Ueno-san wa Bukiyou / How clumsy you are, Miss Ueno. Another "FBI OPEN UP!" scene in Nobunaga-sensei lmao omg dude, Japan no shame and no chill. Bro, I really dread the modern isekai and WN/LN fantasies but the Kenja no Mago has the charm for me that is similar to Slime - silly, dumb, fun, and visually appealing. I even liked the "How utterly cliche" line lol keeping expectations low but am interested in the second episode. 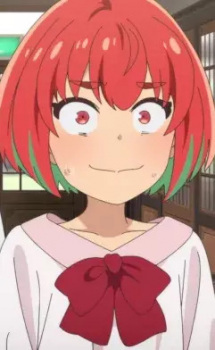 I just spent 2.5 hours reading your old reviews and +1'ing them all lol your Mahoutsukai no Yome review is really good, and you put in a crazy amount of work for 2018 dude, respect! I ended up watching most stuff, I didn't watch 2, 3, 18 (I might pick this up). Still waiting for "Others left" to drop. Forgot to say, "What about yourself?" I'll pick 3 from 2 categories. What grabbed my attention was Fruits Basket, Kono Oto Tomare!, and Kimetsu no Yaiba - these were definitely better than what I initially thought going in blind. I was surprised by Mayonaka no Occult Koumuin, RobiHachi, and Gunjou no Magmel - these are very low-rent productions, but surprisingly interesting, might make good time passers. Also my ratings are weird. My Impression is trash. Wasting my time in watching this but I don't planned to dropped since I'm a Completionist also its reminds me Keijo!!!!!!!!. But mostly your reviews are helpful. 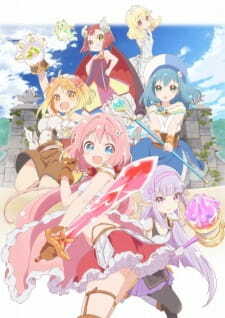 Where to watch Circlet Princess Episode 10 to Episode 12? Yeah I ended up watching them lol I'm watching a lot more than I planned tbh, every new season is like Christmas day, and you just want to open as many presents as you can. Also, did you see the state of the reviews of Winter season? So many negative reviews (that were obviously boosted by bot accounts) have had their votes cut in half (probably because mods deleting those bot accounts). I find it very funny. I decided to also checkout Midara na Ao-chan wa Benkyou ga Dekinai + Senryuu Shoujo from your list bro, I see they are airing soon, check their MAL page, why not.